Colgate is a brand that I've used throughout the years and I continue to trust their oral care products. 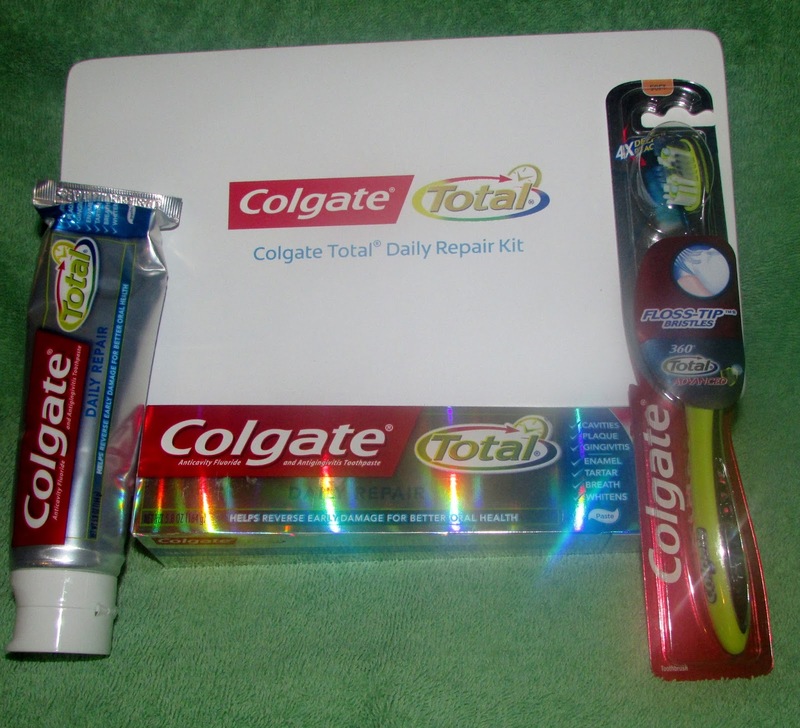 The company has introduced a new product to its Colgate Total portfolio - Colgate Total Daily Repair Toothpaste. This new toothpaste contains a multi-active formula that helps repair early teeth and gum damage before you may know it even exists. The toothpaste also helps remineralize weakened enamel to help prevent cavities and strengthen teeth, and help improve gum health by killing bacteria that cause gingivitis. With a fresh mint taste, this toothpaste makes my teeth feel very smooth and clean. I feel confident that the germs and plaque have been mostly removed when I brush my teeth with Colgate Total Daily Repair Toothpaste, and it makes me feel more secure that it's working to repair my teeth.